Minneapolis/Brooklyn trio, Beat Detectives recently debuted their first release on vinyl format through Not Not Fun entitled, Climate Change. The group previously has had a slew of tapes on 1080p, 100% Silk, Night People, Where To Now, and Moon Glyph. They've built up their rep and finally got a much deserved full-length on wax. Their sound is very raw and gritty emitting a post-punk grain with an east-coast hiss. 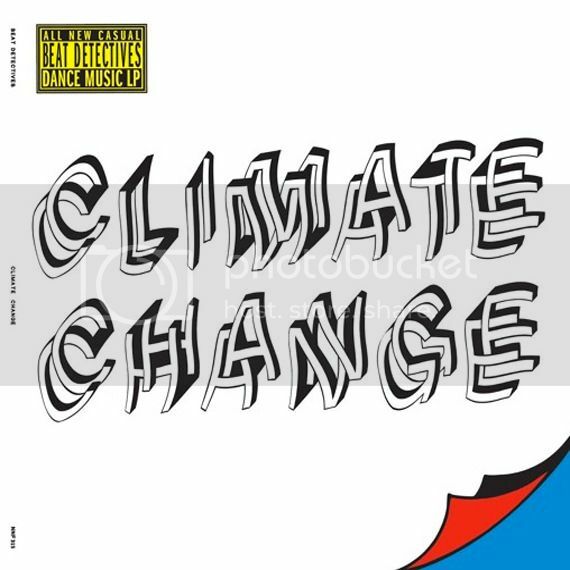 Climate Change includes 14 tracks of burgeoning lo-fi drum friction compromised in a techno, house, funk manner. Sprawling vocals and almost unidentifiable lyrics accompanied by heavy mind-melting beats and 8-bit filters, this album will definitely heat you up and cool you off. While 'Something Temporary' will lock you in a darkwave daze, 'Somethin's Rippin' will get you moving, and 'Napoleon Hat' will chill you out wanting more. Consistent throughout, these Beat Detectives cats are on to something special and unique. Highly recommend this one. Purchase the entire album now on all formats over here.